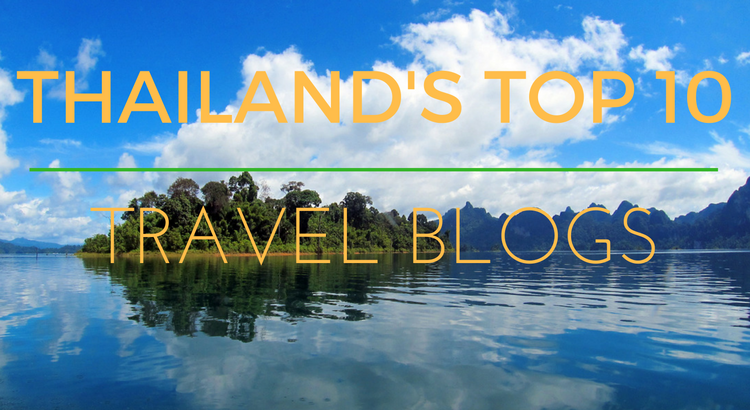 What are the Best Thai Travel Blogs for tourists? These are my recommendations for the Top 10 best Thailand travel blogs – all essential reading for anyone planning a holiday here. Read these blogs and you’ll have a far greater, in depth knowledge of the country plus what to see and do, than any run of the mill travel guide can offer. IamKohChang is the ultimate guide to everything you need to know about the island that is Koh Chang. 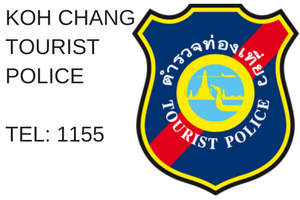 The site contains a mass of information including the range of accommodation that can be found on the island, different types of activities, getting to, from and around the island in the transport section and a detailed overview of the popular area/beaches to visit around Koh Chang. The website is run by a guesthouse owner on the island so all the information is current and kept up to date. An American in Bangkok is a blog detailing Scott Mallon’s (the owner of the site) life in a foreign country and how he copes with the day to day life and cultural differences in a country completely different to his native America. His blog allows you to understand what it’s like to live in Thailand, the realities of day to day life, the range and taste of Thai food and of course the friendliness of Thai people. An American in Bangkok also covers the exotic and not so exotic places he visits on his adventures around Thailand. Americans Chris and Angela left the 9 to 5 lifestyle in the US to head to Chiang Mai in Thailand to start a new life. This is when Tieland to Thailand was formed, originally to share with friends and family what life in Thailand was like the blog has now evolved into one of the go-to blogs for all things Thailand related. They’ve written posts covering destinations from the north to the south and east to west, plus tips, advice and information on life as an expat in Thailand,day to day living and teaching in Thailand. Roy Cavanagh is the man behind the site Thaizer.com for which he’s put together to help provide answers and insights for anyone planning a trip to the ‘Land of Smiles’. Having travelled extensively throughout Thailand and now living in the country his wealth of information has helped make Thaizer.com one of the top blogs on Thailand. There is a mountain of information from ‘Do’s and Dont’s’ while visiting the country to current affairs and events and festivals. 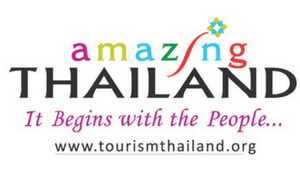 If an event or occasion is happening in Thailand then you’ll usually find out about it on Thaizer. After visiting 50 plus countries Jamie found himself in Phuket where he settled down, started a family and in 2006 the blog Jamie’s Phuket was born. The blog started because Jamie wanted to show what the real Phuket was like, not just the usual tourist places you see and hear about. And while the blog does cover the main tourist areas it mainly focuses on off the beaten path places where few tourists venture. The blog covers a vast array of information on the island including accommodation, things to do and a great selection of restaurants to try. Richard Barrow was one of the first Thailand based travel bloggers and is the man behind the site Thai Travel Blogs which he’s put together to provide tourists with the latest news and events happening in Thailand. He’s been exploring Thailand for over twenty years so has a great insight on the way of life in Thailand plus the best places to visit. The site itself is full of information regarding the many festivals and events which happen in Thailand throughout the year, to the massively popular Songkran to the lesser known Thailand Balloon Music festival, everything is covered here. Well worth following on Twitter too. Planning on moving to Thailand to start a new life? Then you’ve found the right place to be. Can I live in Thailand was put together for people wanting to find out the relevant information before making the move to Thailand. The site contains a wealth of information to make the transition of moving to a new country as simple as possible, whether you need to find out about visas, the cost of living in Thailand, renting or the best areas to live, this site has it all plus much more. You’ll also find the owner runs their own Thailand expat blog alongside the site which includes a mass of information as well as tips and guides on life and travel in Thailand. First published in 2009, Pattaya Unlimited is essentially an ultimate guide to Pattaya for tourists and ex-pats. 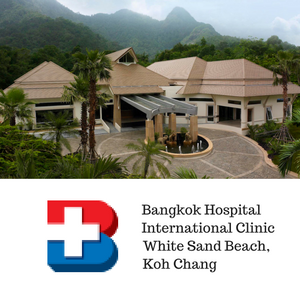 The site covers a wide range of topics including he site owners own life experiences of living in Thailand. The site is full of reviews, guides, photos of Pattaya and its beaches, plus the local tourist attractions and best places to eat. Also the more of the unusual Thai customs and cultural differences which happen in day to day life in Thailand. Tips Thailand is a blog published in Dutch but you can easily translate it with Google and is definitely worth doing. Dutch couple Sander and Mariska quit their jobs in 2014 to move to Thailand indefinitely. Tips Thailand was set up to allow them to showcase their experiences of living and travelling in Thailand. They’ve put together an extensive list of hotels which they’ve visited and reviewed alongside a great destination guide on where they’ve travelled to in Thailand. So, although it’s not in English it makes the list of best Thailand travel blogs as there are some awesome posts detailing some very useful information such as what vaccines are needed in Thailand, solo female travel and the Top 25 beaches to visit. Expique is a website that has the aim to develop a range of unique travel experiences in Bangkok, which in itself is a great idea and they run some brilliant tours. Also on the site, Expique has a blog section with some decent, valuable information on all things Bangkok. The blog literally covers everything, from day to day life in the city, to the best markets to visit, unusual food to try and of course the best places to drink. If you need to find something about Bangkok then you’re more than likely to find it on Expique. A summary of the Top 10 travel blogs that anyone visiting should read before they arrive. You’ll find a wealth of up to date information and advice about travelling around the Kingdom. Great share! Such an amazing list of travel bloggers to follow! I appreciate you for the efforts you took for giving us a wonderful list of these bloggers. When I got a job offer, at first I was hesitant to move in Thailand since it will be my first time to be away from my friends and family. Plus I don’t know if I can live independently in a new country so by reading Can I live in Thailand really helped me to decide if I should get the job offer or now. And I’m glad I did because so far, I’m really having fun here. Hi. Thank you for sharing such a useful post post. I’m also travel Thailand a year ago with my family and have amazing experience. I loved reading these blogs.